The success of a remodeling project greatly depends on the contractor you choose. A contractor can add value to a project and take your ideas to a whole new level. There was a previous post which suggested, as to why one needs to hire a professional remodeling contractor in the first place. If you did not get a chance to read about it earlier, click here. The next step is to choose the right contractor. The first step you need to take, is to talk to people, who have had remodeling contractors work on their homes. Get a feedback from the clients and know about the contractor. A good contractor will have good business ethics, integrity and a good relationship with the clients. Many remodeling contractors post feedback given by their past clients, on their websites. Some clients also write separate reviews about contractors in their personal blogs or social media. You can read through them and make an informed decision. Here at Daniel Mackey, we value our clients and always maintain a good relationship with them. • The different departments the contractor has, namely the design team, architecture team, aesthetics team etc. See what the contractor specializes in. Some contractors specialize in garage remodeling, while others may be efficient in redoing bathrooms, and so on. They generally maintain a portfolio of their work and you can check on the level of expertise in their areas of specialization. Choose your contractor depending on the type of remodeling you want to be done in your house. You can truly assess a contractor once you have a face to face interaction. You can meet them in their ongoing project sites and see how the team works. • Look for precision in their work. Check on how well organized they are. • Analyse as to how they plan and execute a project. This way, you can really get to know them. Interact with more than one remodeling contractor and choose the one whom you feel comfortable with. At the end all that matters is, who according to you will offer the best experience. 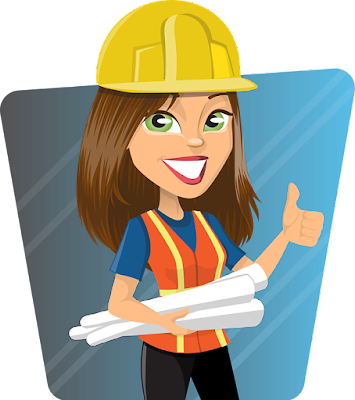 You would much prefer a contractor who has a good reputation and interacts well with you, rather than the one who is very skilled but does not treat the clients well. Here at Daniel Mackey, we give top priority to customer satisfaction. We adopt a unique set of skills and offer the best service. You can go through our website and see for yourself! Do not hesitate to contact us; we will make your remodeling project a reality.